Where Luis Suarez will be playing his football next season remains a subject of considerable speculation. At the end of last season the controversial Uruguayan had intimated that he wanted to leave English football because of the intense media scrutiny that followed him around after his 10 match ban for the biting incident against Chelsea. Subsequent events would make it appear that he just wants to leave Liverpool because they are a bit average, they aren't in the Champions League and the manager Brendan Rodgers isn't quite as impressive as somebody like, oh, Arsene Wenger perhaps. Arsenal are very keen on signing Suarez. They put in a bid of £40 million plus a pound coin, supposedly triggering a release clause in Suarez's contract. 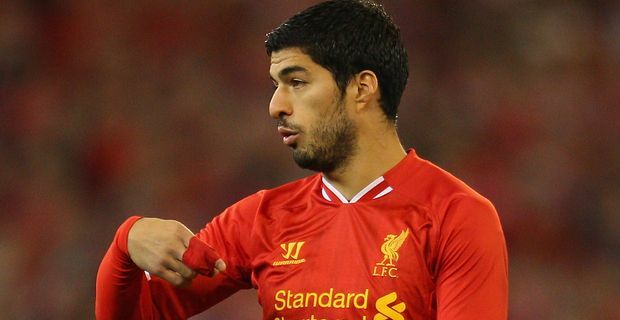 Liverpool deny that they have to sell at that price, but Suarez is keen to talk to the London club. Rodgers seems a little out of the loop. He said that Suarez would remain a Liverpool player "unless something drastic happens". Yes, Brendan, something drastic would be a transfer to Arsenal, which still seems eminently possible. "He's been surrounded by speculation," Rodgers said after Suarez played in a friendly in Melbourne, "but he's very much a Liverpool player and over the course of the next number of weeks we've got to get him up to speed and have him fit and raring to go for the beginning of the season." Arsenal might be grateful for that. Suarez has enjoyed considerable support from Liverpool over the course of a troubled season, although he repaid them with the goals that salvaged a mediocre season from becoming a disastrous one. Rodgers appealed to Suarez's loyalty. "Luis will always be linked with top clubs but I think the support he's received from the supporters and the people of the city of Liverpool has been unrivalled," the manager said.